With the nights drawing in and the new chill in the air, autumn is here whether we like it or not. While we may not enjoy it after the wonderfully hot summer that we had, we can be prepared for it so that we can stay warm without being caught unaware and find ourselves rushing out to get fuel for our fireplaces or stoves. There has been a lot in the media over the past few months about air quality, particularly in urban areas such as London and its surrounding towns and neighbourhoods. And while we may have covered issues related to air quality before and what you can do to minimise your contribution, this month we take a more in-depth look at what the government rules are and how to stay within them. 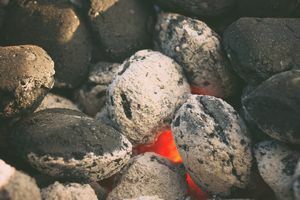 Across the country, local authorities have created smoke control areas which prohibit the release of smoke from chimneys unless there are exemptions in place or fuels that are authorised are used. If you are unsure whether or not this applies to your area just check with your local council who can advise you. If you do not comply then you risk a £1,000 fine, so worth being on the safe side. You may have heard of ‘smokeless’ fuels. These are allowed if you are in a smoke control area. Others will include those on the government’s list of authorised fuels, of which there are quite a few. For full details, visit the Defra website (Department for Environment, Food and Rural Affairs) so that you can be sure you are operating within the law. If you have an exempt appliance, then you are free to burn fuels other than those on the allowed list. This is because those appliances are designed to trap and prevent harmful emissions from being released into the atmosphere. Again, the Defra website can help you check whether or not your appliance is exempt, but rest assured that all those that you can get through us at Fiveways Fires & Stoves comply with Defra’s requirements. What about kindling and liquid fuels? Kindling is a great help when it comes to getting a fire going in the fireplace. As with your main fuel, check that it is allowed, find a supplier of suitable kindling that is exempt, or use an exempt appliance instead. Liquid fuels are also increasing in popularity, particularly ones that are billed as more environmentally friendly. Oil and other liquid fuels are usually fine, as long as they are used in specially adapted fireplaces. If you have an outdoor pizza oven or regularly barbeque, then there is no issue. However, if any of these release smoke through a chimney, then they must either be exempt or burn fuel from an authorised source. Bonfire night is nearly here and while there are no laws against having a bonfire, there are rules against the potential nuisance they may cause for your neighbours. Never burn rubbish or wood that has been chemically treated or painted. or call us on 020 8127 4747 and we’ll be happy to help.